Doesn’t that sound like fun? Makes you wish that’s what the post were really about, doesn’t it? 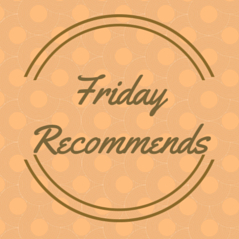 But it’s Friday Recommends day, and the title is a mash-up of the links I have for you this week. Stephanie Finnell stopped by to visit me yesterday and I followed her back to her blog. Oh! My! Ghu! What delicious food! What wonderful posts! I’m going back. I may end up eating my computer screen, her stuff looks so good! I thought I had already recommended this next site, but a cursory search didn’t turn it up. It bears repeating, anyway. Four Pounds Flour: Historic Gastronomy is indescribably delicious. If you never ever thought you’d meet someone else who would say something like, “I wanted something with their house made orgeat,” go visit this site. Do you think studying is a bore? I have one word for you. Shmoop. Go there. Because: Schmoop. What’s the difference between a person and a people? The WDC has a jolly good Primer on Non-Human Personhood and Cetacean Rights that is a should-read for all humans, especially authors who want to write about non-human persons, cetacean or not. I was put onto that article by the fabulous Heidi C. Vlach, Writer of Hues, who also recently stopped by this blog to visit. I followed her home and found her new book, Tinder Stricken. She goes, “But when Esha stumbles into the wrong patch of forest, a wild phoenix steals her heirloom khukuri knife. Unwilling to lose her treasure before she can sell it, Esha forges a deal with Atarangi, a back-alley diplomat who speaks to animals.” And I go OH MY GOD BOUGHT! SO BOUGHT! Well, there you have it: my harvest for the week, cooked and served for your browsing pleasure. A WRITING PROMPT FOR YOU: Write about a non-human person.